Test Your Home For Household Mold! We are committed to protecting the privacy & security of our customers. We do not sell, trade, rent or otherwise provide customers' names, mailing or e-mailing addresses to others. All information is considered private and confidential. 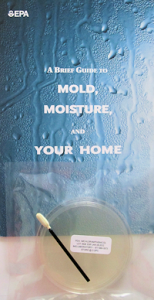 All content © 2019 by Home Mold Laboratory, Inc.